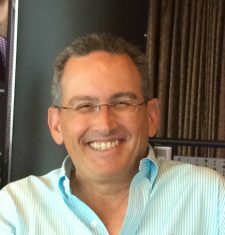 Ralph Levy was born and raised in Colombia and moved to the US in 1984 to pursue graduate medical education. After finishing his fellowship in Cardiology at Mount Sinai Medical Center in NYC he moved with his family to start clinical practice in South Florida. For the last 25 years he has been affiliated with the Memorial Health System where he currently serves as Chief of Cardiac Services, Chief of Cardio Oncology and Director of Structural Heart Disease. Ralph resides in Fort Lauderdale with his wife Debi. His three children are Natan, Joel and Gabriel . Ralph is very thankful and extremely proud to serve in the Board of B the Difference where he hopes to be able to contribute in making a difference for those afflicted with NF as well as their families. Being in the medical field affords him a very cleared eye and realistic view of their hopes and struggles. It is also a privilege to join a Board of like minded individuals whose whole purpose is to help others.